Amazon is one of the most successful e-commerce websites to have ever hit the virtual space. The eCommerce platform has garnered millions of customers across the world – in a short space of time. However, if you are a seller on Amazon, be aware that it is heavily metrics-driven. The site uses seller performance metrics to ensure customer satisfaction. 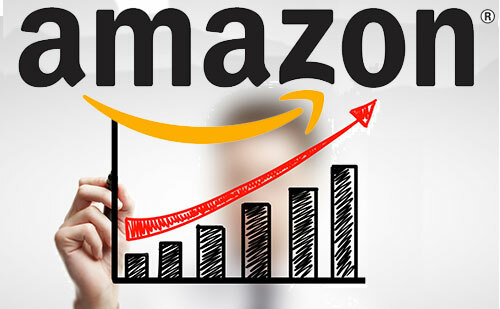 Amazon has set high standards that sellers must meet in order to have good metrics. If you manage to impress the e-commerce giant, you will be given better visibility which will lead to more conversations. As an Amazon seller, we know it’s not easy. You need to keep trying to find ways you can improve your performance metrics. These following strategies are sure to work! If you focus on customer loyalty and can bring in more sales, Amazon will reward you with better rankings in search results. It, of course, will lead to better results for you. Do remember that Amazon sees these three metrics all the time. Your Order Defect rate, which it wants to be below 1%. How many orders have you received a negative feedback to? Any order that receives a negative review, an A-to-Z service claim or a service chargeback goes against you. You should be able to address customer queries without them going to their card company to claim a chargeback against their transaction. A low negative feedback profile is what Amazon expects from you. You need to work with the buyer to help avoid any unpleasant situations. So, refunds and returns should be welcoming if the product in question isn’t what the buyer expected. If you failed to make it clear something in any way in the description, don’t hesitate to replace or refund. If the buyer initiates a A-to-Z buyer claim against you, it goes against your seller profile. Your pre-fulfilment cancel rate, which needs to be below 2.5% at all times. You shouldn’t really cancel any order after the buyer places an order and before you ship them. Your late shipment rate, which needs to be below 4%. How many orders do you have shipped on time? Orders that are confirmed to be shipped late goes against you. Additionally, at least 95% of your shipped packages need to have a valid shipment number. If the ratio gets below that, you may lose your selling privileges. Do remember that if you are unable to meet these metrics, Amazon could suspend your selling rights. Amazon demands that all the sellers should have a defect rate of less than 1%. The ODR is worked out on a lagging 30-day basis. If you have a high ODR, it might be because of poor reviews and customer-seller arguments. Amazon also dictates that its sellers should not have a cancellation rate of over 2.5% which means that sellers’ should be very conscious about completing their orders. Last but not the least, Amazon wants the sellers to have a late shipment rate that is below 4%. We will talk about these in detail below, when we talk about how these things can add up. Once you have an idea about your metrics performance, you should establish a framework based on the data. Your main objective should be to not let your metrics go into the various “No-Go Zone”-s. If you do not meet the metric requirements, you will have a hard time getting the coveted Buy Box. Most metrics focus on shipping while the rest indicate seller performance. So, you know what your priorities should be when working out the plan. – Your fulfillment method. You need to choose how you wish to ship the item to your customer. You can choose between FBA or SFP. – How much your products would cost, which could be the total price you incur, plus any shipping fee. – If your product’s available at all times. Amazon does look for sellers who can ensure better availability for products. – How soon you can ship. If you are joining Amazon as a seller, you should know that your fulfilment choice is likely to have a heavy bearing on your performance metrics. Usually, sellers like to opt for FBA or Seller Fulfilled Prime so they can also reach out to Prime members. This can lead to an increase in the sales and prove to be convenient. On the other hand, some sellers might find the FBA to be reducing their profits instead because of the shipping costs. Your choice should be based on what will be good for the company. Reviews and feedback can play a very important role in shaping your future as an Amazon seller. Usually, customers do not feel the need to leave a feedback if they are satisfied. You have to encourage positive feedback on your websites so that your customers feel the urge to take action instead. Improving customer service and paying more attention to individual reviews is a good start. On the other hand, if you do have a negative review, you should focus on getting the problem solved so that you can ask the customer to remove the complaint afterwards. – Preempt negative seller feedback when you can by taking a proactive approach to address customer queries. – Ask customers to leave a good feedback, if they’re happy with what you’ve to offer. – If a customer does leave a negative review, remain calm and try to address customer queries to help get the review removed. As an Amazon seller, it’s not only sales that you should be looking for. Sure, every sale matters but you need to look at repeat customers and word of mouth to bring in more revenue. Do remember that even small changes in specific metrics can make a big difference over time. Amazon creates thresholds that you need to climb in order to win the Buy Box. For instance, research suggests that if you can ship your product to your customer in brackets of 0-2 days and 3-7 days, you’ve a better chance of winning the buy box than say is you ship in 14 plus days. Similar is the customer response time thresholds. How soon do you respond to customer queries? Amazon expects you to get back to customers in as little as 12 hours. 24 hours is great too, but if you take more than it or never reply, it could be a significant roadblock on to your goal of reaching the Buy Box. If you are business-minded, then you should work on the metrics which influence the Buy Box more intensely, sometimes at the expense of another. You should never ignore any metric completely, but figuring out your priorities will help you be more strategic when allocating resources. We talked about the metrics above that you need to keep in mind. Keep a check on the success ratio for each at all times – it just makes your job easier. You can see your Account Health on Amazon Central to know what’s going for you – and what’s not. You must have understood by now that shipping is one of the primary determinants of seller metrics. Amazon likes to do a relative study between sellers who are competing for Buy Box. This means that if you shorten your shipping as compared to your competitor, you will stand a higher chance of getting that Buy Box. So, if you ship your product within a day or two, and your competitor takes as many as ten days, you are going to win! As an Amazon seller, focusing on the metrics count. Focus on customer loyalty, customer engagement and look to ensure that customers remain happy with what you’re offering. Be truthful in your product description page, and ensure all aspects of the product are covered. At the end, do note that if you want to thrive in the Amazon marketplace, you cannot forget to play by their rules! This entry was posted in Amazon and tagged amazon metrics strategies.